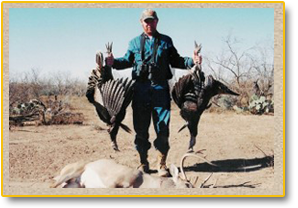 Texas Quality Hunts offers Texas guided hunts for Texas Whitetail Deer hunting, quail hunting Texas, exotic game, Texas turkey hunting, and hunting for dove, hogs, axis, elk, mule deer, red stag rams, ibex, aoudad and varmints. We currently manage thousands of privately owned acres for all types of Guided and Semi-Guided hunts, and offer Hunting Leases for our properties located around the Concho River and nearby counties. Our properties are strictly managed and under close supervision so that game is not over hunted thus producing Trophy Game. A variety of Game and Fowl are harvested and made available for all types of hunts. 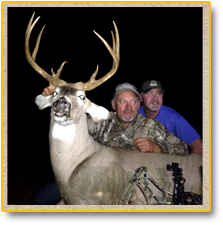 We have produced many trophy Whitetail Bucks varying from the 130’s – 170’s B&C, as well as numerous large Whitetail Does, Rio Grand Turkeys, Javalinas, Feral Hogs, Varmits and more. Also, Dove and Quail are harvested and available for Hunts or Leases. You will find many Exotics as well roaming our properties including Axis, Follow, Elk, Red Stag, Rams, Ibex and Aoudad just to name a few. Make yourself at home and enjoy our cowboy hospitality while you explore our website. Be sure to checkout the new editions to our Trophy Room. 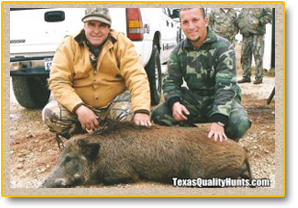 "When my family wants to get together to go on a hunting trip, we can always count on Texas Quality Hunts." "Killed my biggest buck with TQH. Awesome ranch, good experienced guides. I will be back." 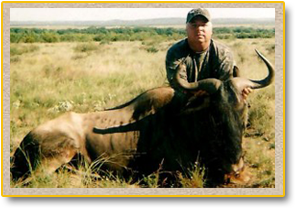 "Texas Quality Hunts has helped us with Safari Club International for years, and has always made our members happy and enjoyable. Highly recommended." 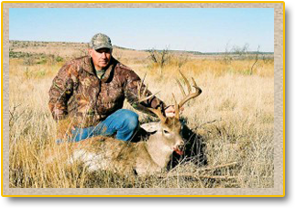 "I have lost count of how many years I’ve hunted with Texas Quality Hunts, and I can’t get enough." 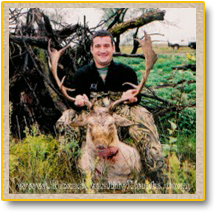 "This is my 3rd hunting trip with TQH, always have an amazing trip. There are lots of free roaming deer and a lot of country to hunt. I never hunt the same stand." "After searching for a quality hunt at a fair price with no trophy fees. I harvested a big mature buck." "I’ve hunted the Midwest and Southeast and I always come back to Texas Quality Hunts, where I have harvested most of my biggest bucks." © Texas Quality Hunts 2010-15 Designed by DavidMorrow.tv.